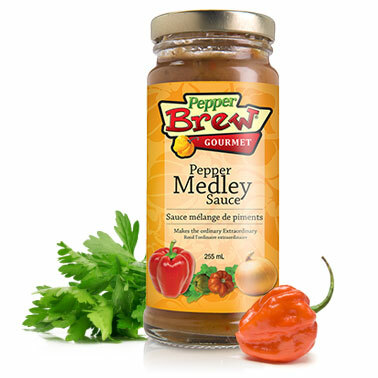 Pepper Medley is a premium all-natural pepper sauce which balance varying degrees of spicy heat with flavor. Great as a dipping sauce; try as a spicy alternative to the regular sweet & sour sauce. Use in pasta salads or potato salads, as a glaze over poultry, as a marinade, on hotdogs and hamburgers, in sandwiches or as a condiment with any meal.